Apart from various unique pressings identifiable by the manufacturing date code, there exist a matte and a laminated glossy version of the sleeve, as well as an Artia export version with English or German liner notes. Two anniversaries contributed to the first transfer of this album to CD. The author of all the lyrics, Pavel Vrba, turned 70 in April, precisely at the time when some 30 years had passed since the release of a record with a remarkable content and fate alike. Bohemia was actually a veritable Czech super group. Jan Kubík (ex-Flamengo), Lešek Semelka (ex-Blue Effect), Michal Pavlíček (ex-Expanze), Vladimír Guma Kulhánek (ex-Flamengo), Jan Hála and Pavel Trnavský (ex-Expanze) were all songwriters, singers and instrumentalists who helped to save Czech “big beat” from the Communist philistines. And they succeeded splendidly, with their rock-jazz fusion music, bolstered by almost surrealistic lyrics, having survived the three decades in an extremely vital condition. The LP today serves as a great testimony to an era. 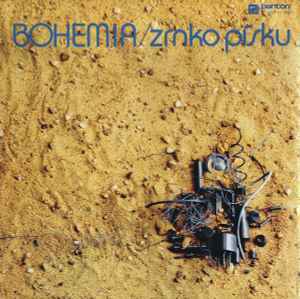 Bohemia released only this LP in 1978 which was recorded 1977. It is a good prog. Rock album with some jazzy influences. The bonus material was recorded between 1976 and 1978. It has good quality, too and suits to the orginal release. The booklet contains the lyrics.